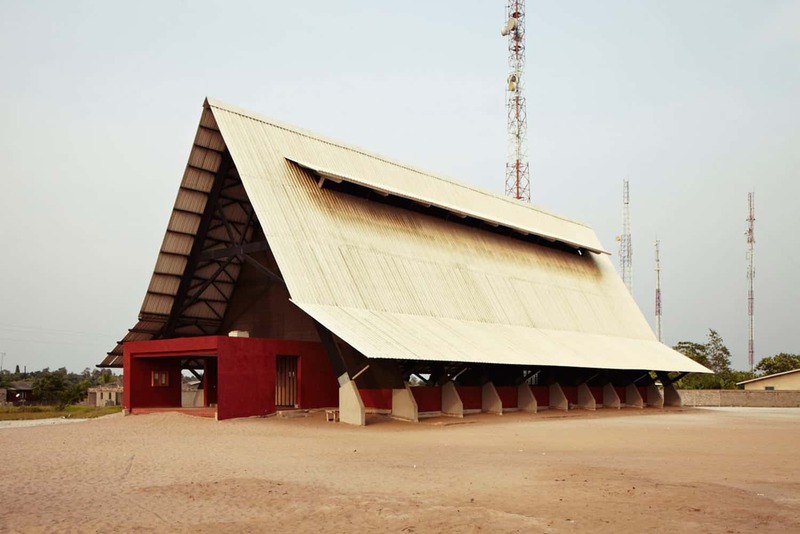 In the coastal city of Assinie-Mafia in Côte d’Ivoire, a majestic church sprouts off the ground in a triangular form that oozes semblance to the white sands of the beach. Initiated by architects Guillame Koffi and Issa Diabaté, both of Koffi & Diabaté Architectes, the project was part of a community project initiative launched by the same architects with help from local residents. The triple volume space is outstanding, almost intimidating were it not for the excellent interplay between the space and timber fixtures and furniture. The form of the church is imposing, yet very modern. The simplicity on the exterior stamps on Mies van der Rohe’s ‘Less is more’ mantra, while the complexity in the interior is the definition of character. The architects’ intentions were to design a building that would foster development of eco-friendly architecture in the larger part of Assinie-Mafia while introducing a new kind of coastal aesthetics. The notions of sustainability inspired the triple volume space and the hiring of local residents to work on the project using locally available materials. From where the rising roof begins and where the church’s walls end, slit-like voids have been left on the elongated sides of the building for natural ventilation and lighting to take place, replacing windows in a normal setting. The church’s front elevation is a monumental triangular growth from the ground and up characterized by a large door bringing you into the space. Large timber trusses support the roof which features corrugated iron sheets with smaller triangular frames. The interior space speaks symmetry resoundingly thanks to the alignment of seats on either ends of the church, leaving the aisle in the middle. Artificial lighting fixtures further enhance the elegance of the church with round orbs aligned on either sides and in the middle to accentuate the aisle. The integration of timber with checkered floor tiles and a massive amount of natural daylight crowns the magnificence of a church whose triangular frames and trusses give it so much appeal. The triple volume and the atmosphere created can only transform you into a state of mind where there is fulfillment and meditation – how every church should feel. The architects wanted to go beyond the traditional and this is as good as it gets; a true reflection of a building that intends to capture the faith of its users while championing for great religious norms. Tudor Apartments is a high-rise residential project consisting of 14 intimate apartments in Tudor Creek, Mombasa.